Do you love Walt Disney World Resort? Think you know it inside-out? Where in Disney World is a game that will take you on a journey through the Magic Kingdom, to see if you can guess where in Disney World you are. 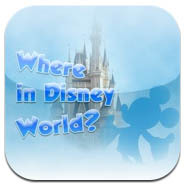 It’s the perfect game to play with the kids when you’re off on a long journey, to play at home, or why not try it out while you’re waiting in the queue to get on to your favorite attraction in Walt Disney World? It’s a great way to keep the kids entertained while they’re waiting in the summer heat to get their photograph taken with Mickey Mouse. 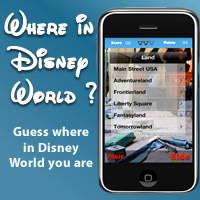 The game will show you a photograph of a place in Walt Disney World Resort – all you have to do is figure where it was taken. 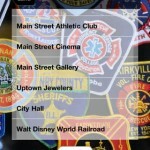 The paid version of the app includes over 600 photos from more than 80 attractions! Magic Kingdom Tour – Guess locations from across the Magic Kingdom. 3 wrong answers and you are out! Quick Tour – Guess the images in as quick a time as possible. See who’s the quickest out of your family and friends! 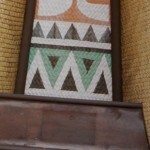 Themed Tour – Progress through the tour to unlock special themes! Finished touring the Magic Kingdom? 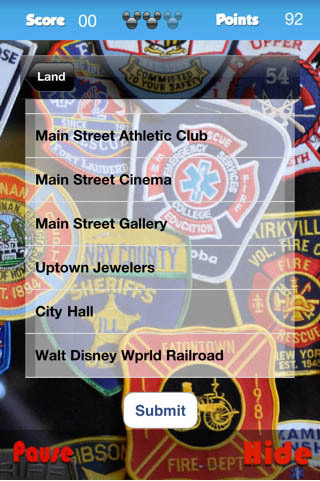 Download EPCOT from inside the app! 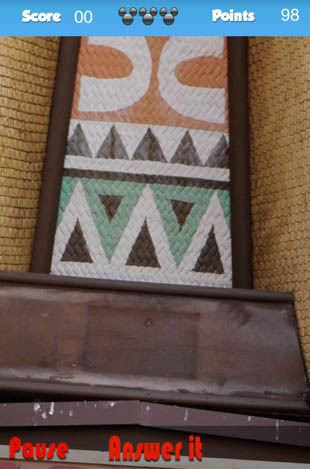 And we’ll be releasing more of your favorite areas – Disney Hollywood Studio, and Animal Kingdom! 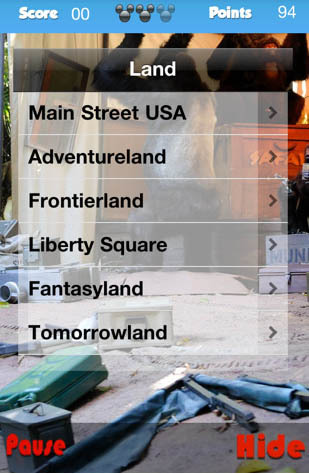 EPCOT in app purchase features over 1,300 photos of Future World and the World Showcase. Mexico, Norway, China, Nemo, Test Track, Soarin’ and more. 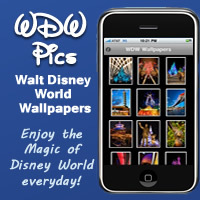 Visit your favorite Walt Disney World areas straight from your iPhone and relive your wonderful family memories!